When Life gives you Lemons … Preserve ’em! If I’ve learned anything about living as we do — off the land, and overwritten by the principle of enoughness — it’s patience. For as long as I’ve been seduced by North African and Middle Eastern flavors I’ve wanted to make preserved lemons. That’s been for nearly a year now. This week I satisfied that longing and started the process. I say started because they need a month in which to preserve before I can test the results. Preserved lemons and limes can be used for flavoring salads, dressings, pestos, salsas, tagines, casseroles, and so much more. Chef Yotam Ottolenghi’s recipes and my neighbor’s Moroccan-born mother led me to them, and over time I hope to share with you some of my own creations in which they are used, especially now as we head into our cooler months. Crates of lemons are filling our house, waiting to be juiced and frozen, or preserved. Where would Chris and I be without lemons? We use them in so many of our favorite dishes, be they North African, Thai, French, or Italian. I drink the juice with hot water first thing every morning, and mix it with Campari and soda as an aperitif in the evening. We only have five lemon trees, and yet between them they produce enough juice to last us a whole year. Right now, crate after crate of Eurekas, rough-skinned, and a huge alien-hybrid-we-cannot-name, are piling up waiting to be juiced and frozen. The kumquat tree this season has double the fruit it had last year. Likewise the kumquats, the grapefruit, and the pomelos. Adelina and I will make marmalade out of some of these, while the rest will be juiced for consumption later in the year, when they are out of season. 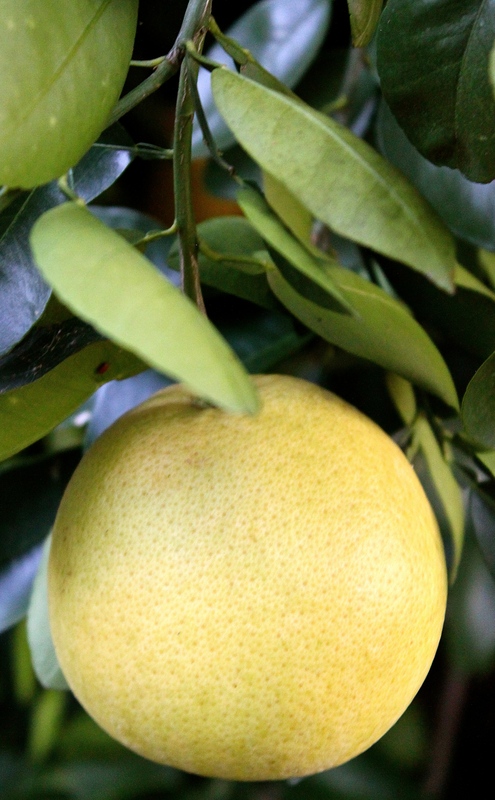 The only disappointment among our small citrus grove is an orange tree. Since it starting fruiting, it’s produced lovely looking oranges but when opened they turn out to be dry and flavorless. We’re unsure why and unsure what to do about it. If it disappoints again, this season, I’m afraid, is its last. The orange tree will probably be replaced with a lime, another firm favorite of ours that we like to use in both food and beverages. For now we buy limes from a neighboring farmer, and this week I preserved some of them along with our lemons so I could compare the two (the recipe is at the end of this post). 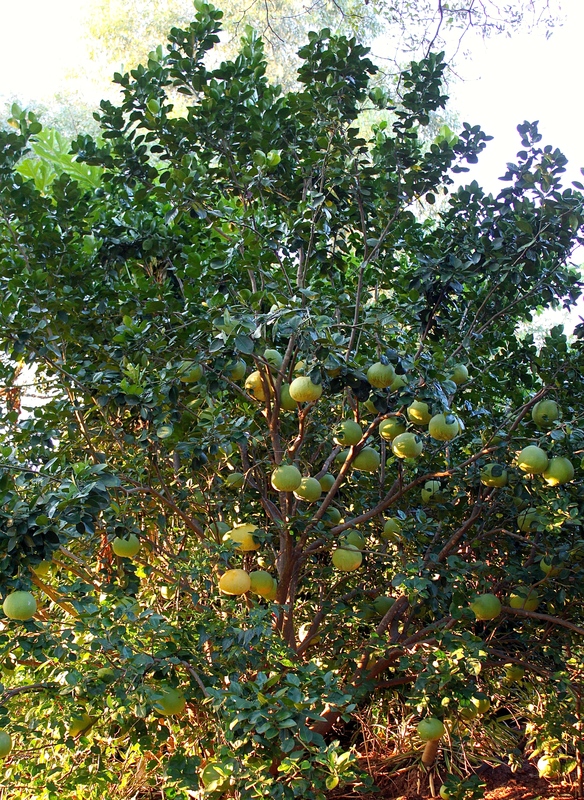 Our grapefruit tree is one of the most productive in the garden. The pomelos light up like Chinese lanterns at sunset. Chris also told me that in neighboring Zimbabwe, the country in which we both grew up, lemon trees line the slave trading routes, the seeds having been dropped by Portuguese or Arab traders traveling down in their caravans from the north. To me, lemons somehow taste like they’ve been around a long time. It’s the shapeshifting guru that can transform a dish from ordinary to sublime–think the spicy and sour Tom Yum soup — that can double up as a disinfectant and cleaning agent, and can even ward off vampires, according to legend. The rough-skinned lemon tree branches have to be propped up with sticks to stop them breaking, so heavy are they with fruit. 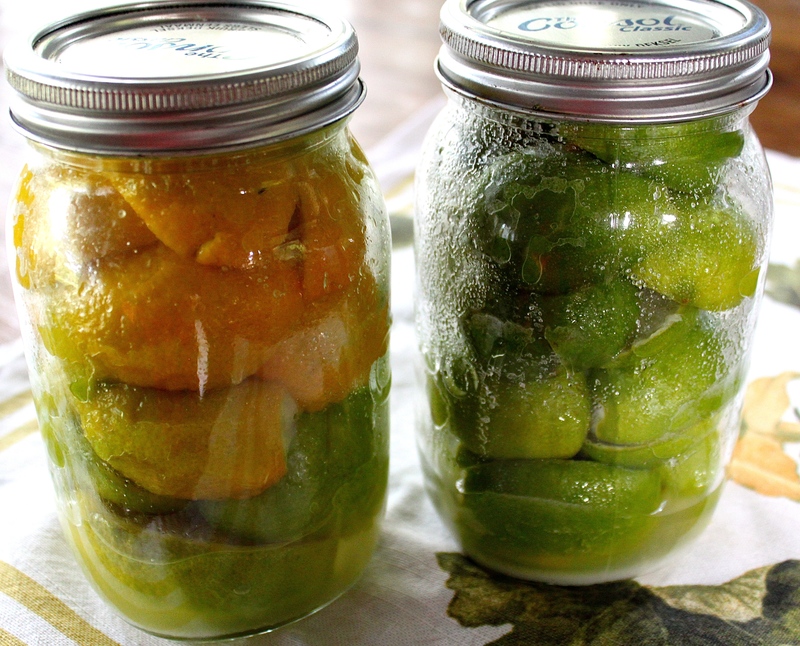 Lemons and limes sitting in salt, the first stage of the preserving. Sterilize the Consol/mason jar. 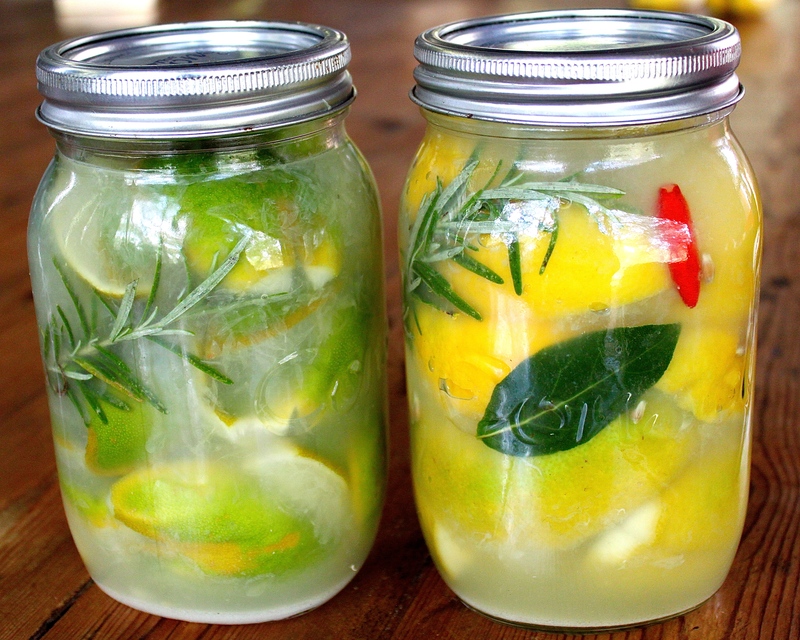 Wash the lemons/limes in cold water, removing all blemishes and dirt. 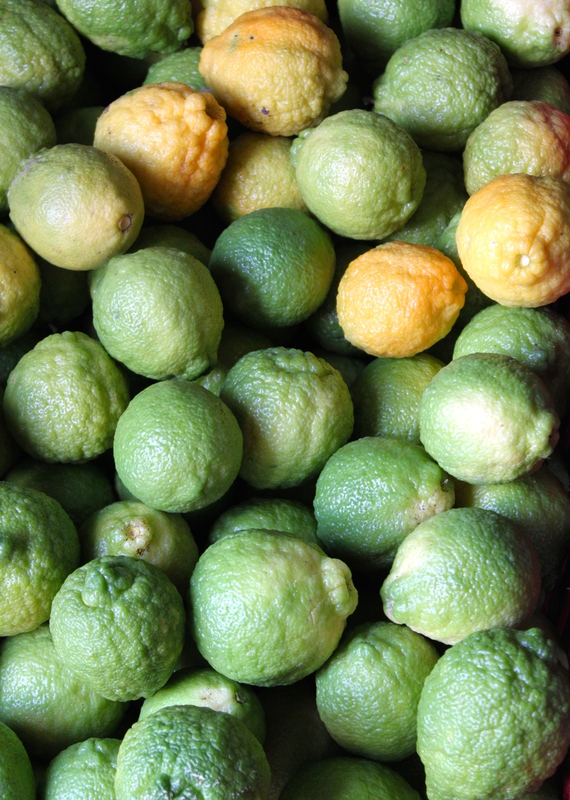 Depending on their size, either cut the lemons/limes in half and score, or otherwise leave them whole and cut into a cross, making sure they don’t separate completely. Pack each lemon/lime with salt, and squash them down into the jar like sardines. Seal the jar and leave in a cool place for about a week. After the initial brining, press the lemons as hard as you can to squeeze out as much of the juice as possible. Add the extra lemon juice, rosemary, bay leaf, and chile and carefully spoon over the olive oil to create a seal. Return the jar to a cool place for another four weeks. The longer you leave them, the more intense the flavor. Yes, indeed, Zsa Zsa! The lemons are brined in lots of salt, so they could add a whole new dimension to a lemon curd, or any other sweet dish crying out for a little je nais se quoi! What lovely pictures! We swim in citrus around this time of year (we are in Florida) and I love the idea of preserving them for later in the year. That’s when we must endure imported, dry limes and lemons. I look forward to reading about how you use them. They look so beautiful in the jars, I am sure they will also be delicious to eat! Gorgeous pics Annabel and look fabulous in the jars. 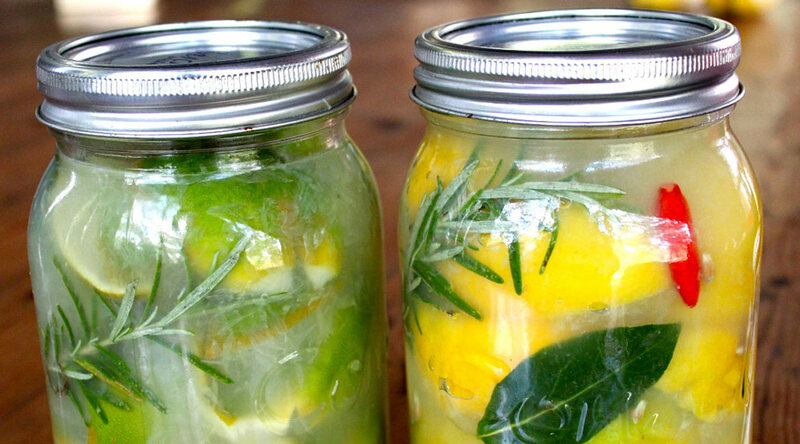 Preserved lemons are so expensive that making your own is really worth it. Lemons grow beautifully in New Zealand and our home made lemonade is a firm favourite in the Birdwoods Kitchen – but now onto some preserving to use in our lunch dishes. Another lovely post and gorgeous photos! Thank you, Louise! I’ve tasted Birdwoods’ lemonade … YUMMO! Hi Annabel, Don’t give up on oranges. In that climate you should be able to produce wonderful oranges (my grandparents did in Wedza). 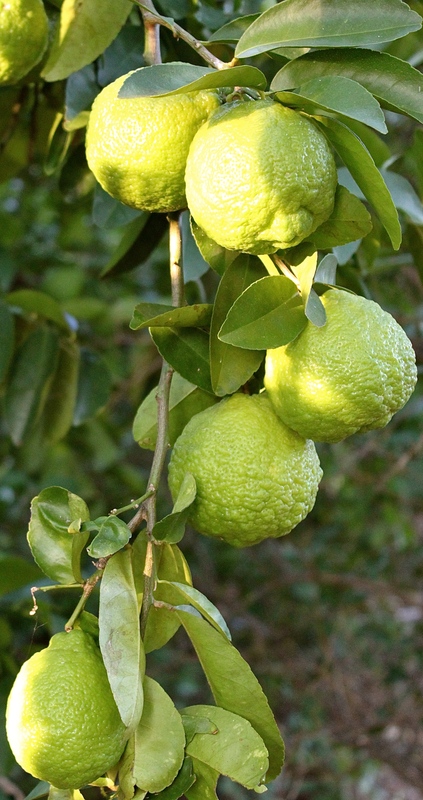 They do need quite a bit of water, but so does other citrus. 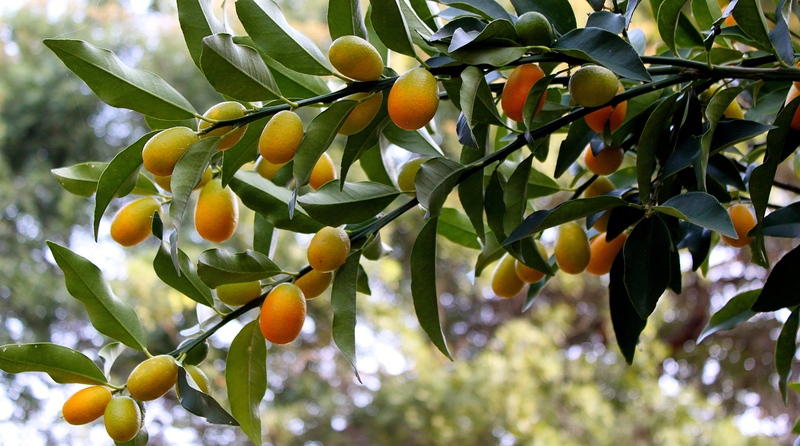 Here are some causes of dry oranges: http://www.gardeningknowhow.com/edible/fruits/oranges/dry-orange-fruit-why-an-orange-tree-produces-dry-oranges.htm Given you know a thing or two about nurturing your plants, possibly the orange tree is on the wrong rootstock. Thank you so much, Alicia. I was really hoping someone would write in and suggest something for my poor orange tree. I am not at home right now, but will peruse what you’ve sent me as soon as I return. Water, I know, is not the problem! What bounty! Today I made a pecan tart with kumquats. So delicious—I loved how they cut the sweet. Yummy, Michelle! I’ll definitely try your tart … I’m always looking for good kumquat recipes, so thank you! Limoncello … YUMMY! Whereas your days are warming up and lengthening, ours are growing cooler and kinder. How agreeable! Absolutely divine photos as usual. Thanks to you dear Annabel. These are a lovely reference for my paintings. The preserved lemons were absolutely delicious ~ can’t wait to try them myself!